To apply, simply twist the bottom of the tube to get the lipstick to appear and sweep it across the lips. If your lips tend to get dry easily, I recommend using a lip balm underneath. As it is fairly pigmented (but not fully), you should be able to achieve a slightly sheerer look by being gentle during application or a bolder look by applying a little more. 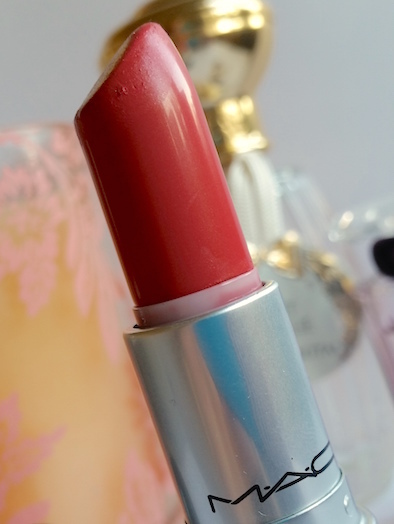 MAC’s Crosswires is a beautiful coral shade that isn’t incredibly overwhelming. It’s the perfect middle-man type of coral, one that can be enjoyed by many rather than a few. On my fair skin, Crosswires tends to lean slightly more towards pink in appearance. If you see the swatch on the MAC website, I would say that in person it is far brighter than it is depicted online. The shade is the kind that can be worn during both the daytime and nighttime, making it versatile as well as pretty. However, a lipstick isn’t all about being pretty. I have two issues with Crosswires. Firstly, it isn’t the longest-lasting lipstick, and secondly, it can be a tad drying. With that said, neither of these problems are enough to put me off. Whilst a touch of lip balm before application can seriously help to combat the dryness, regular re-applications are the only real solution to the wear time issue. I manage to get roughly two hours of wear before it begins to fade away, but thankfully it does tend to all fade at the same time rather than looking patchy as it goes. 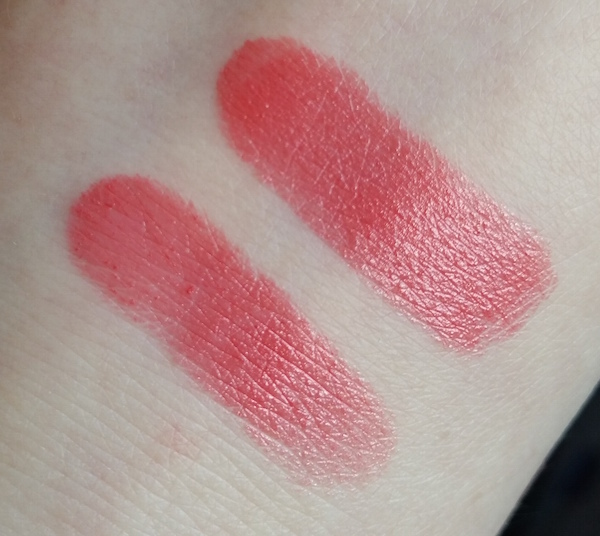 The bottom swatch is one sweep of MAC Crosswires, the top swatch is multiple sweeps. Steering away from the negatives though, I love the opaqueness and comfort of Crosswires. Sometimes I find bold lipsticks to be a little heavy feeling, but to me, this feels light and easy to wear. Overall, I think that MAC's Crosswires is a stunning shade. Even with the wear time and drying issues, I pick up this lipstick to wear again and again, especially now the sun is making appearances once more! You can purchase MAC's Crosswires lipstick for £15.50 from MAC Cosmetics. What are your thoughts on Crosswires? 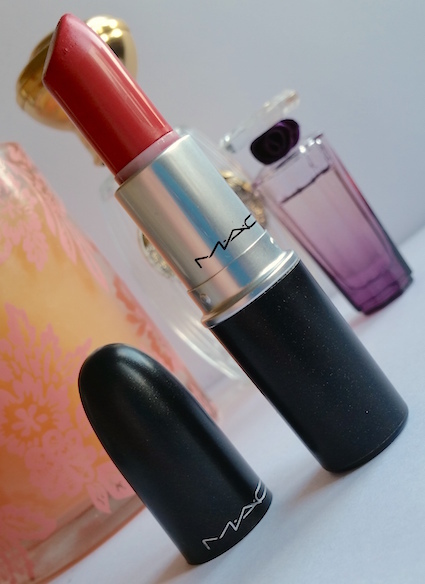 What's your favourite MAC lipstick shade?